The Quinnipiac women’s basketball team (17-6, 12-0 MAAC) celebrated its Senior Day with a win in its Saturday game against conference opponent Canisius (9-14, 7-5 MAAC) by a score of 68-51. Before the opening tip-off, Quinnipiac honored its five senior players as well as five other senior staffers with flowers and plaques at center court. It was a special moment for the seniors and their families, who accompanied them while they received their honors. This year’s senior class has racked up 99 wins and counting in their careers, including a 64-6 record in the MAAC. Once the game was underway, things looked fairly even early on. In the opening minutes the teams played evenly, and the score represented that as it was tied 4-4 before the first timeout was called. After that, the game was blown wide open. Junior forward Paige Warfel continued her hot streak on the glass by recording four rebounds in just the first quarter, following a game where she set a new career-high in rebounds. She also led the team in scoring, recording 18 points on just seven shots. Senior guard Edel Thornton ended the first quarter with a buzzer-beating, 3-point shot to energize the crowd that came out to support the Bobcats. However, the team’s overall success from behind the three point line was far from impressive in the first half. The Bobcats shot just 4-for-15 (26 percent) from beyond the arc in the first half, and shot the ball just 31 percent overall. Still, they led by a score of 29-17 heading into half time. 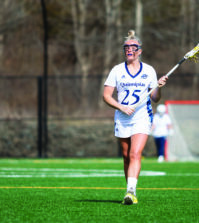 Nonetheless, Quinnipiac came out strong in the third quarter. 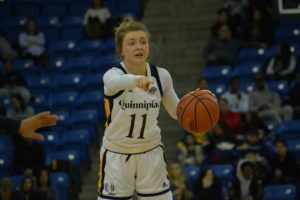 Senior guard Brittany Martin drew a foul on Quinnipiac’s second possession of the half, and after hitting one of two free throws the team never looked back. Quinnipiac shot the ball a staggering 75 percent from beyond the arc in the quarter, and made 5-of-six free throws. At the end of the third quarter, the game was all but decided. The only thing left to do was get the seniors their last minutes on senior day. To the surprise of many, senior forward Jen Fay checked into the game late in the fourth quarter despite a lingering bone bruise in her left leg. She only managed to play a total of 58 seconds in the game, but it still meant the world to the senior and her family, teammates included, to play in this game. 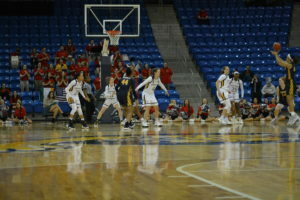 Quinnipiac won the game by a final score of 68-51, leaving little to doubt about its performance on the day. 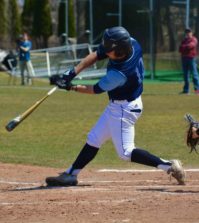 This win kept the team perfect in the MAAC this season. As the seniors’ final season comes closer to its end, they reflected on their time at Quinnipiac and spoke about the legacy they hope to leave behind. Easily the most emotional member of the team today was Fabbri. She expressed incredible gratitude for the seniors, and was even moved to tears when explaining how much they mean both to her and the program. Their careers aren’t over just yet as they still have a good amount of season in front of them. The goal is to reach the NCAA tournament, but the mentality is to take the season one game at a time. Quinnipiac will play next against Manhattan College in Riverdale, New York on February 15 at 7 p.m.